What are the five perfect Christmas gifts to give to your website this winter? Why not share some Christmas cheer with your website this year? Avoid the winter blues, expand your outlook and inject new life into your website in time for Christmas. What better way to do this than giving your website a present of a sparkling new page or two? You could create a lovely new landing page that showcases your favourite products or services, or spruce up your site with a friendly ‘meet the team’ page. Think outside the box this Christmas and make your website bigger and better in time for the New Year. As the end of the year approaches, your website may be looking a bit tired and tatty around the edges. It’s time to give your website some Christmas TLC. Bring out the tinsel and revive your website’s fortunes with a few glittering new photos or graphics. If you want an eye-catching website, which dazzles more brightly than a house covered in Christmas lights, then why not invest in acquiring some inspiring images and give your website a facelift in time for the festive season? Could your website’s copy do with a festive freshen-up? It’s easy to ignore the importance of the words you put on your website, but don’t leave your content out in the cold this Christmas. Invest in good quality, original copywriting if you want your website to shine. Give your website the gift of well-written content and turn woeful copy into a winter wonderland of words. Make sure your website copy has the wow factor this Christmas! Christmas is a time for giving so why not extend the generosity to include both your website and its audience? You could create a Christmas-themed competition to catch the attention of new customers and to generate interest in your website. 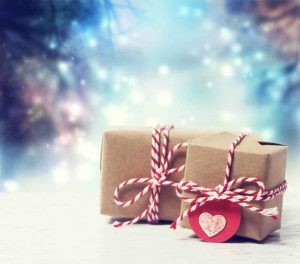 Alternatively, you could get into the festive spirit with a great giveaway for clients and show that you care this Christmas. It’s all very well to have a great-looking website but in order for your website to really work its magic, you need to get your message out to a wider audience. One of the best ways of bringing your website back to life is by creating a buzz around your blog page. Investing in a blog revamp is the ideal present to give your website this Christmas. Boost your blog with some sizzling new content or blow the competition out of the water with a new-look blog page and bask in the warm glow of your winter website success. To find out more about the financial copywriting services offered by Love Letters, click here. And if you want it to feel like Christmas every month of the year then sign up to our newsletter with monthly content marketing news, hints and tips here.